Fix Radio need your help in building the best radio station in London for tradespeople, builders merchants and construction sites. The station, which is planning to launch on DAB digital radio in and around London soon, has twenty questions lined up, focusing on what sort of radio station you'd like while you work. It promises to take your answer into account while it builds the station around its listeners. Rather than rely on skyhooks for its transmitter, it will join London's second capital-wide digital radio bundle, operated by Switch Digital. To find out more information, check out Fix Radio's website, where you'll also be able to take part in its listener survey. The station is a brand new concept, based on the popularity of radio on building sites, in homes where redecoration is taking place and in offices at suppliers and builders merchants. 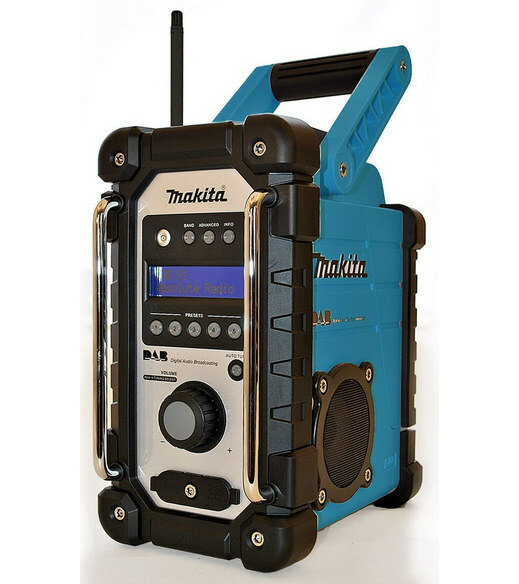 Tool manufacturer Makita offer a popular and robust job site DAB radio for you to tune into the new station, when it launches shortly. If Fix Radio doesn't appear in your DAB station list after tuning to Chris Country or Mi-Soul and looking through the list for it, you need to retune your DAB digital radio to see if you can pick up the station. UK radio stations, on this website. London radio stations, on this website.